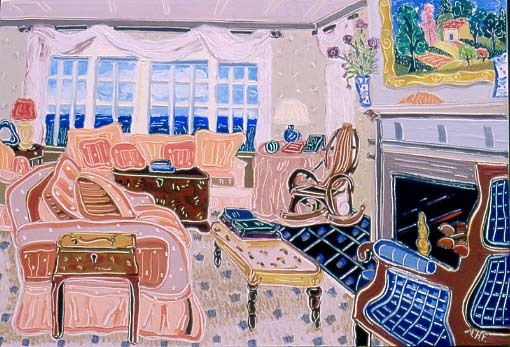 My oil paintings of interiors have come full circle. 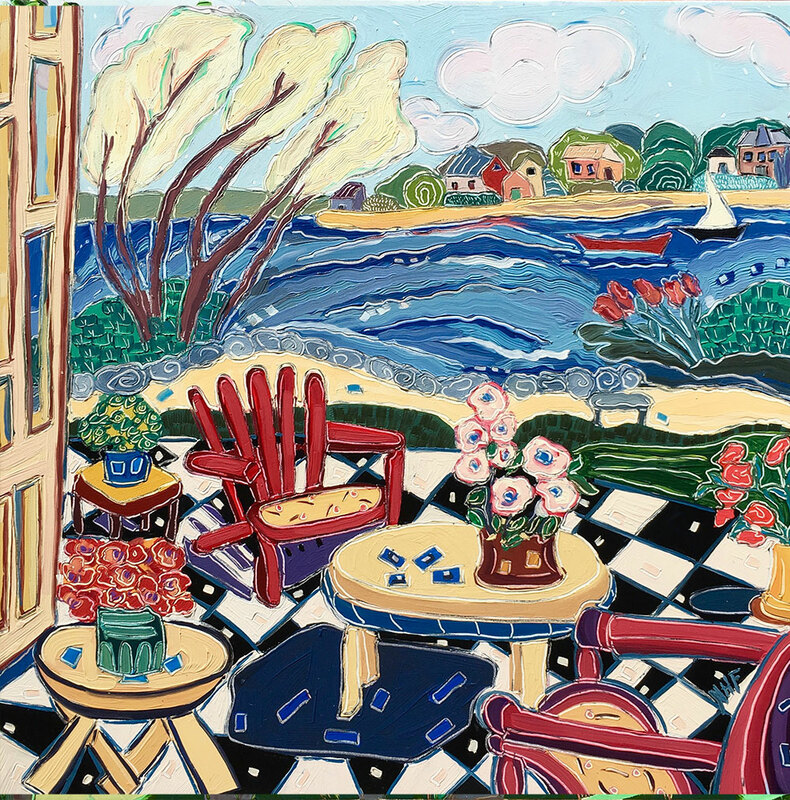 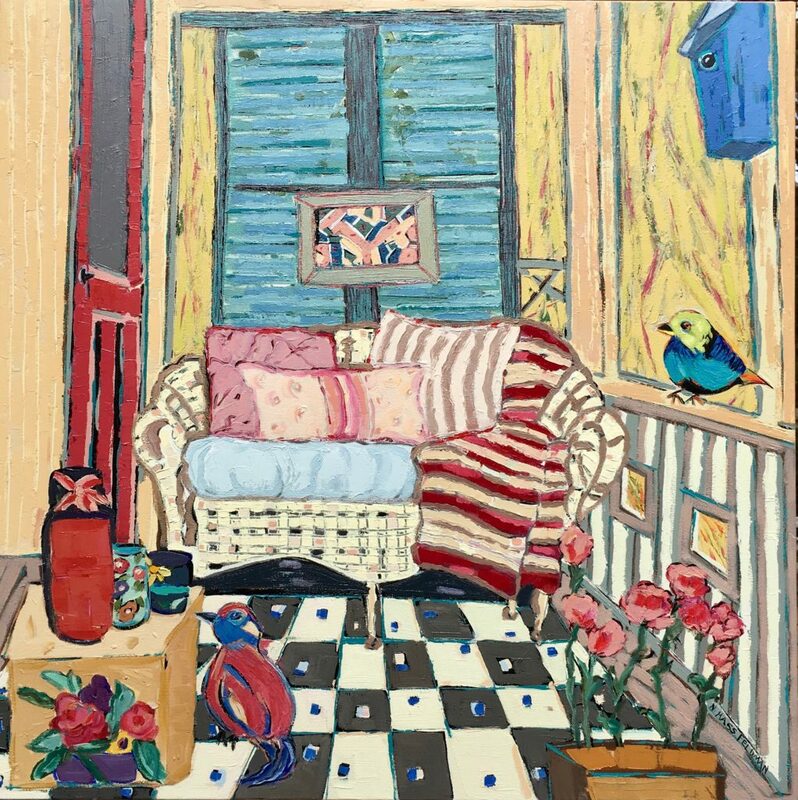 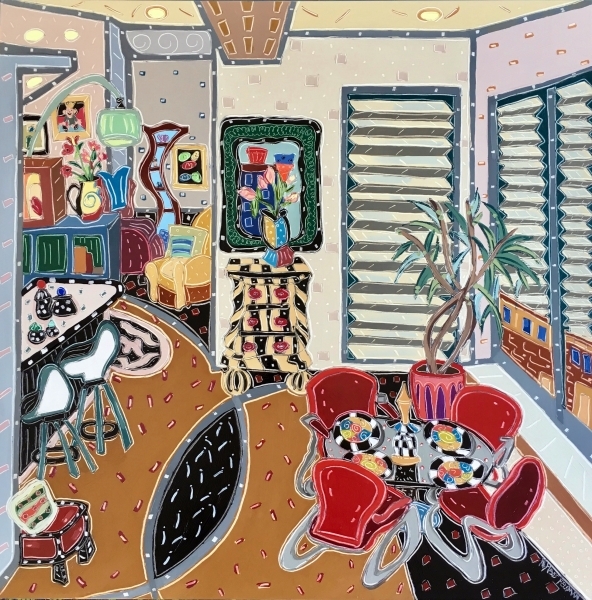 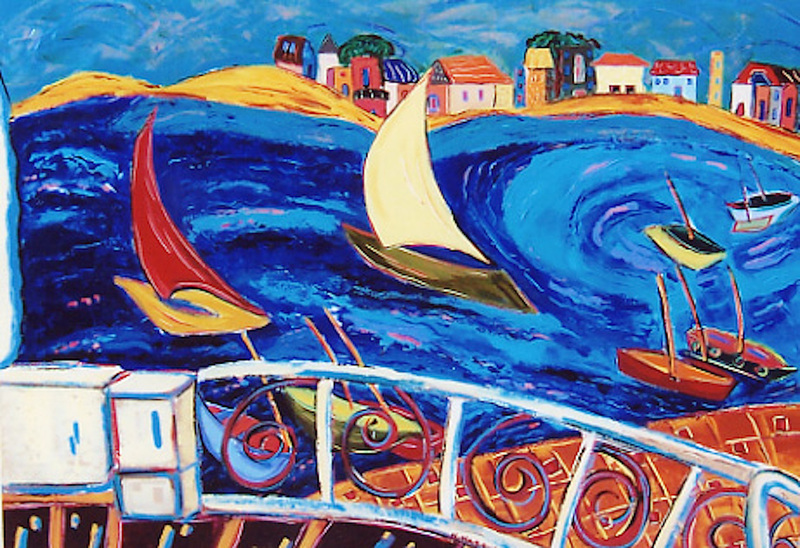 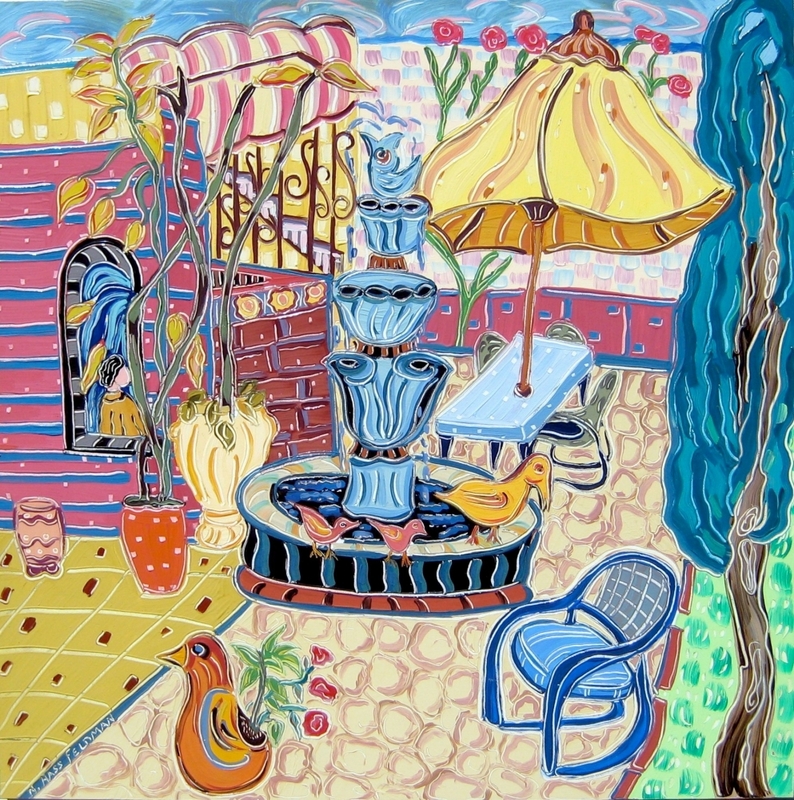 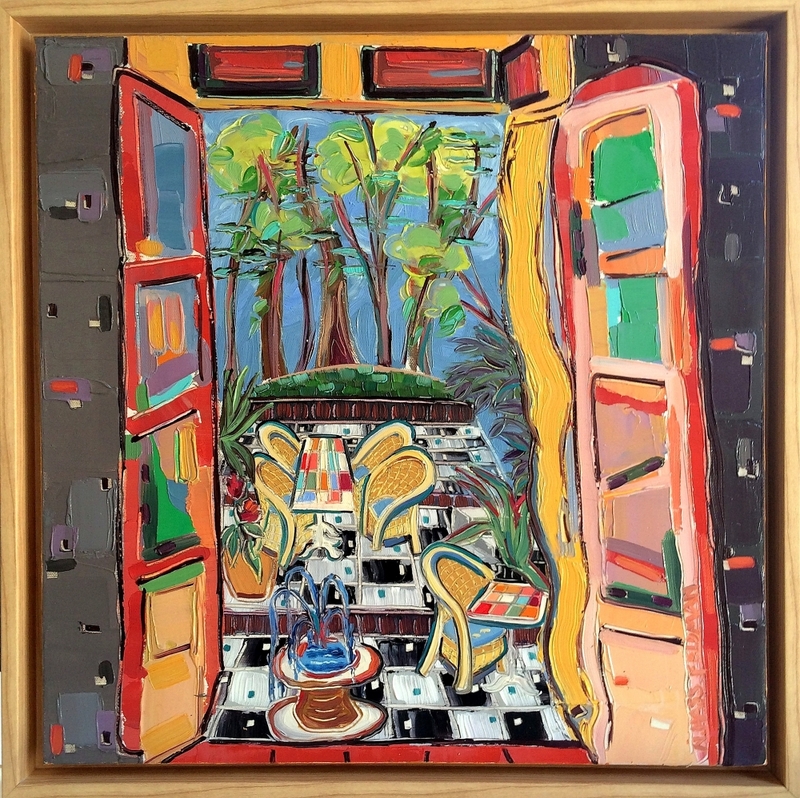 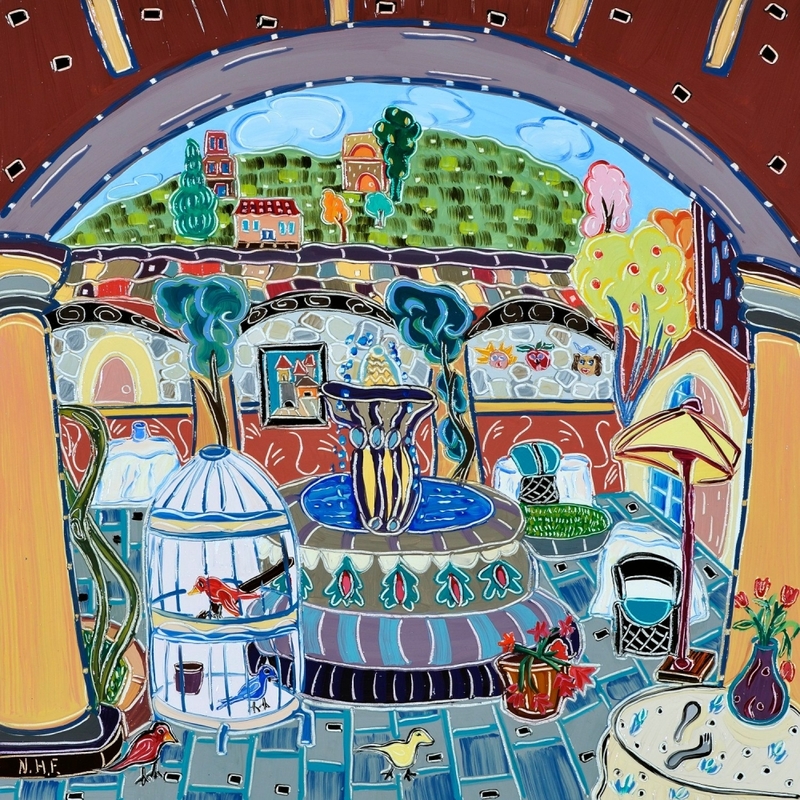 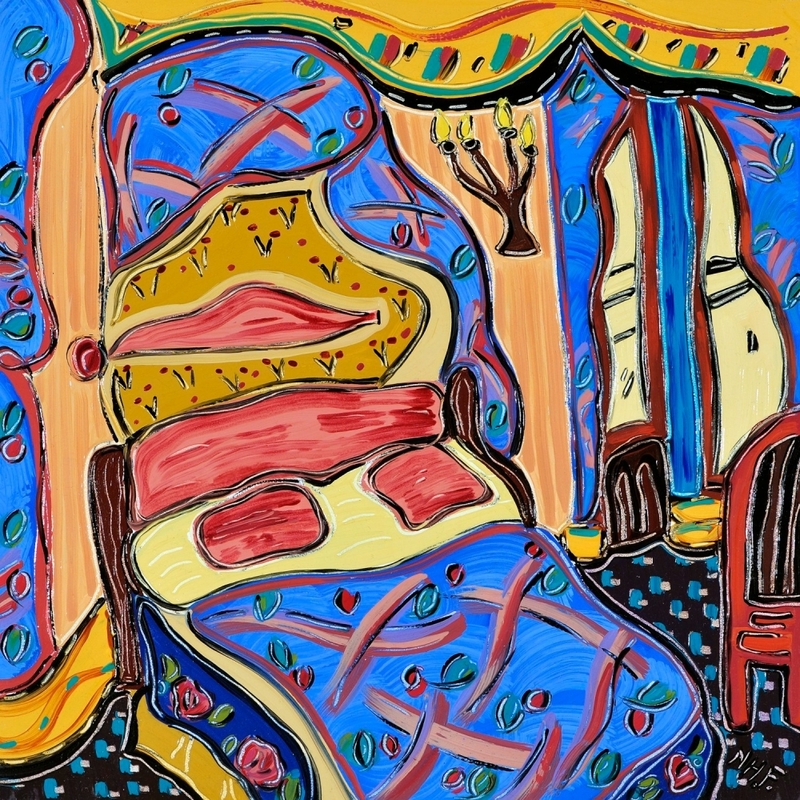 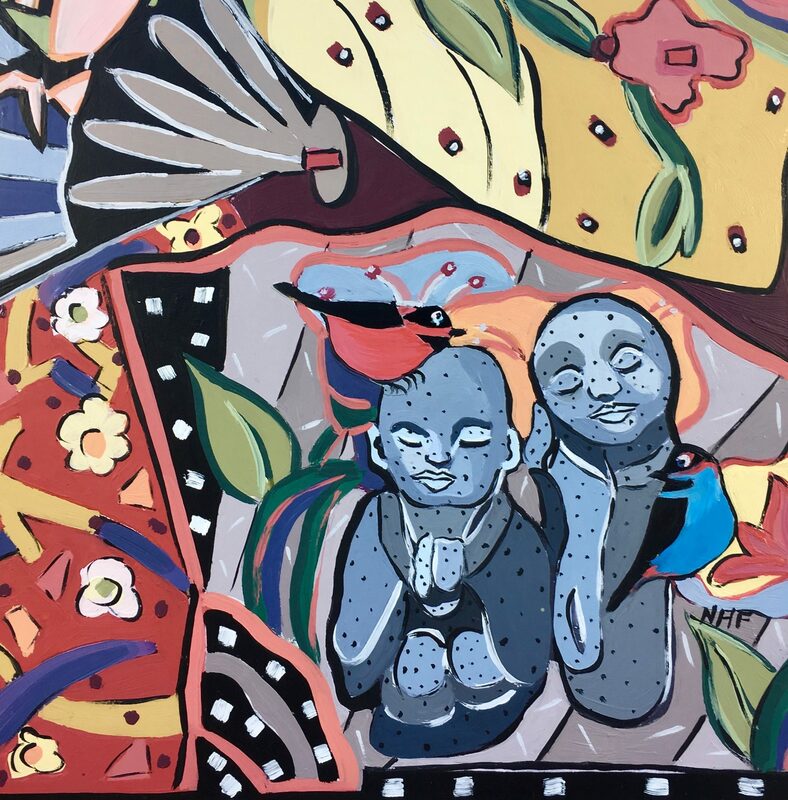 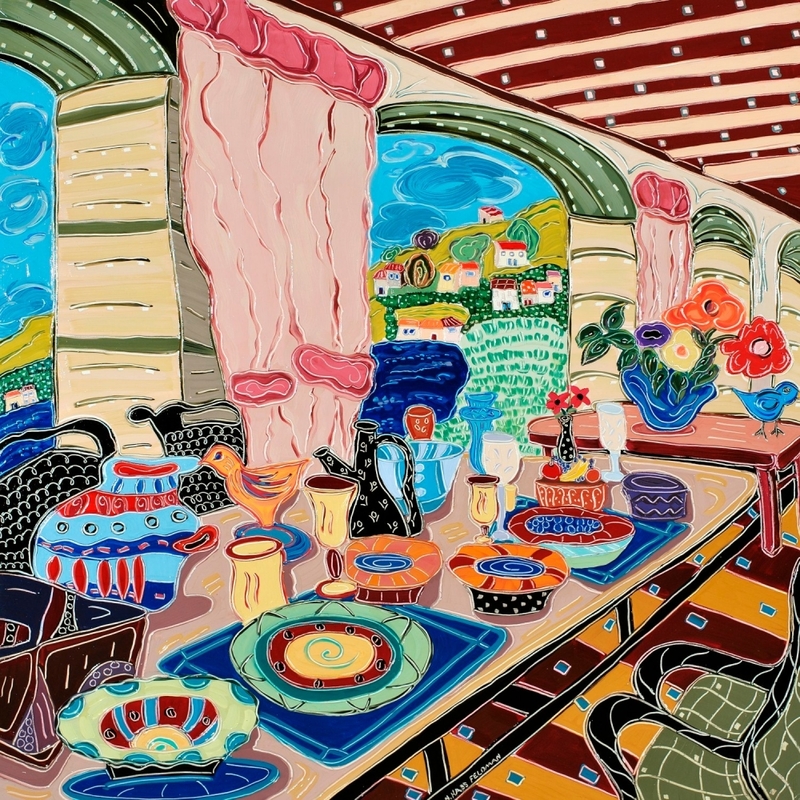 Over 40 years ago some of my earliest paintings were of the inside of my house, and then just 15 years ago I began again to enjoy the appeal of the objects, furniture, artwork, rugs, colors, patterning, design, and inviting spaces. 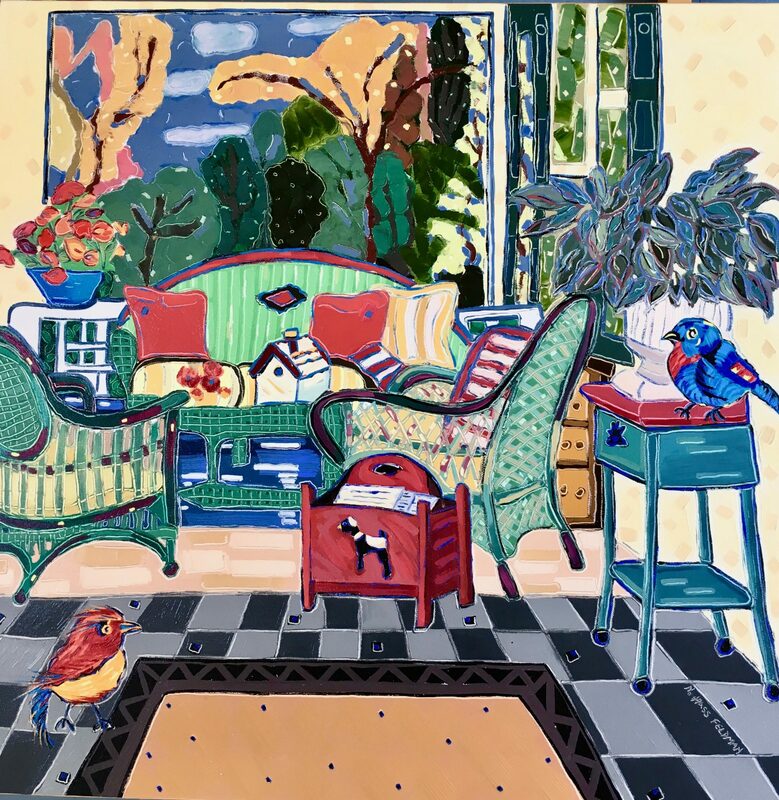 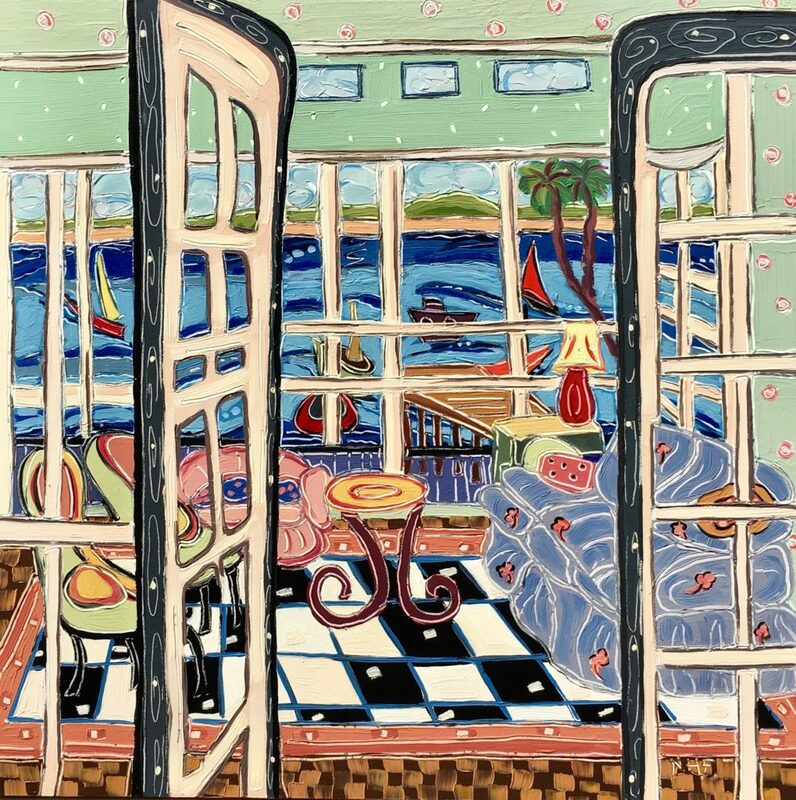 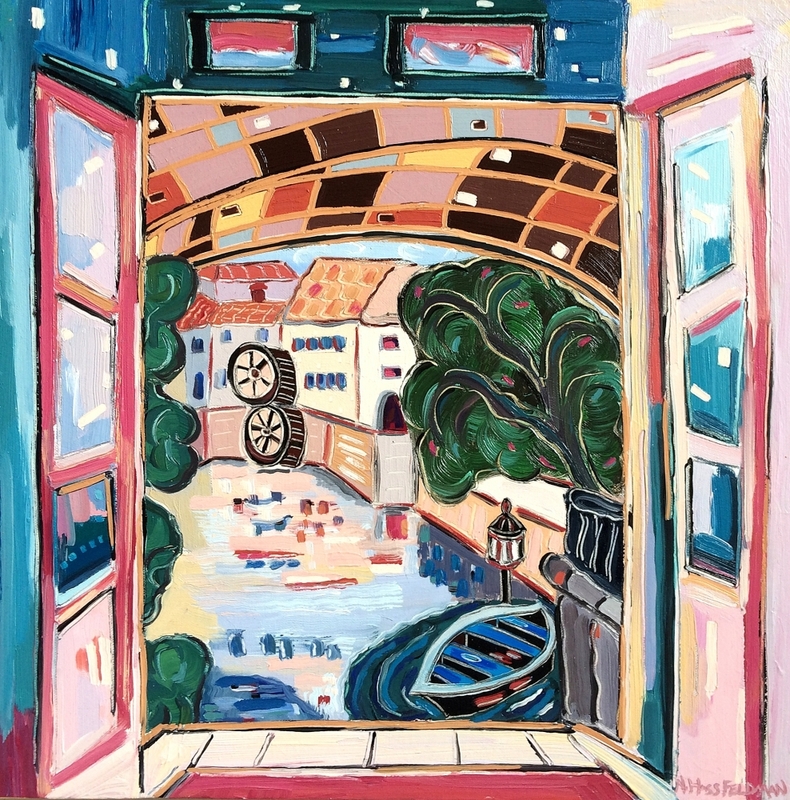 My philosophy of “more is more” is ideally suited to these happy, joyous, colorful, rich, fanciful, views of rooms and views through windows and archways. 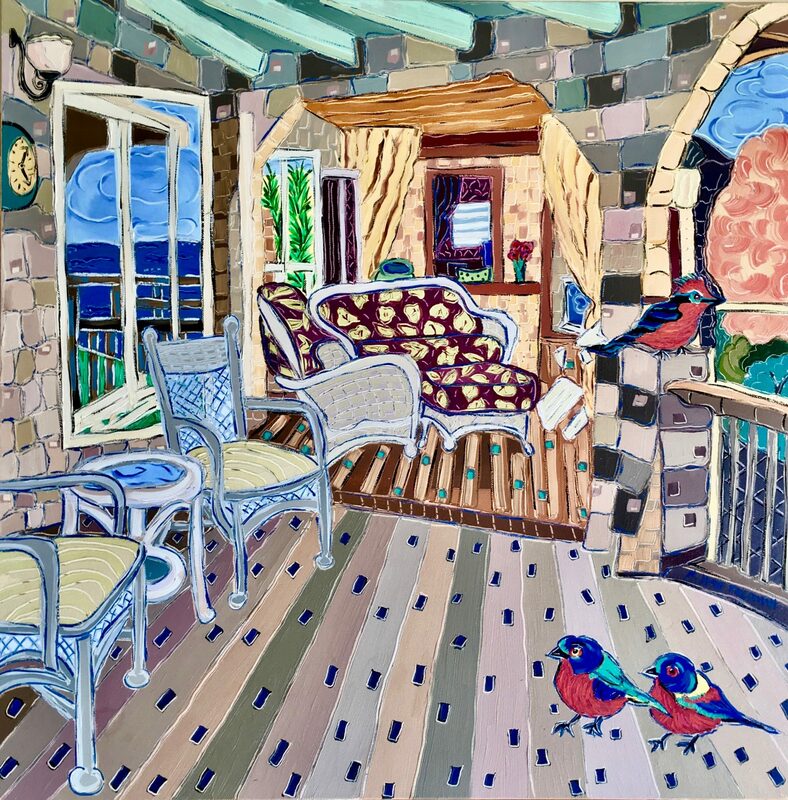 I love the looking into and beyond, and can focus on the many animated shapes, jewel-like patterns, colors, and textures requiring complex coordination, and ultimately fitting together into a cohesive work of art. 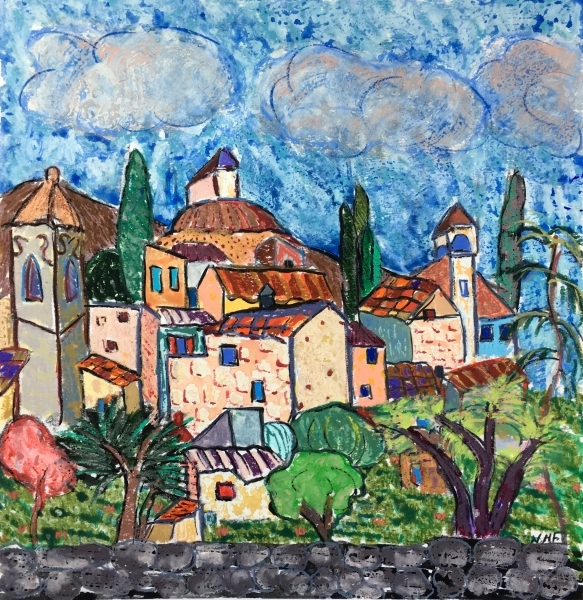 It is the most intoxicating and gratifying work I do. 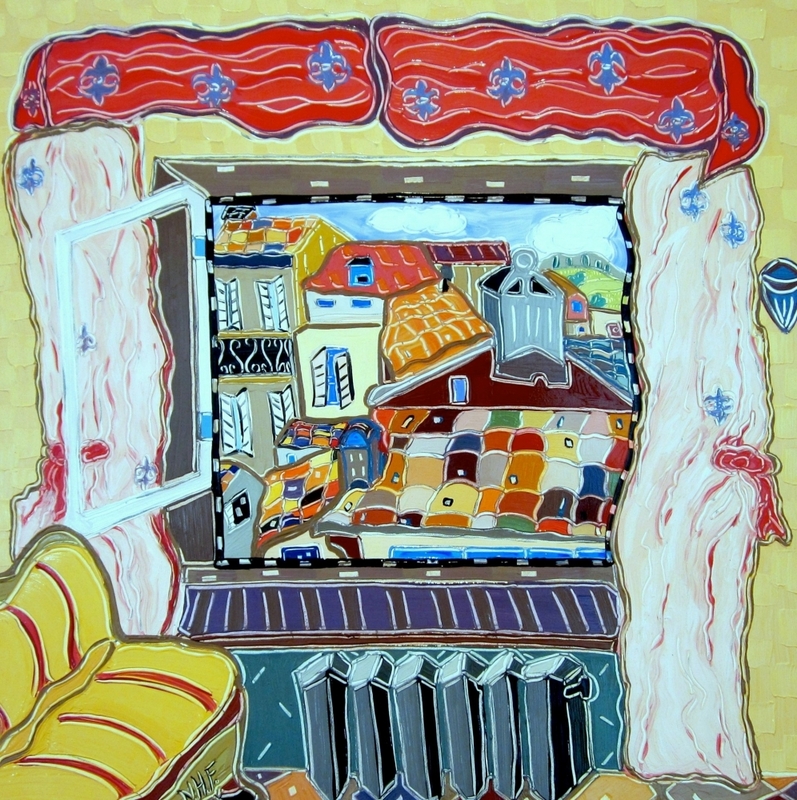 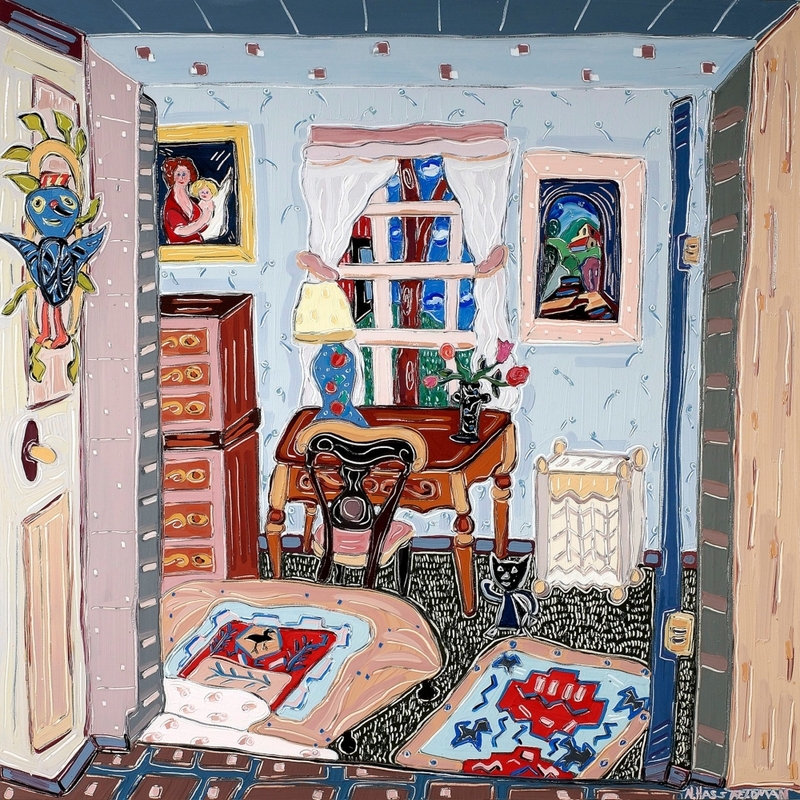 Fancy BedOil on Panel 12" x 12" This tiny hotel room in Paris looked just like this! 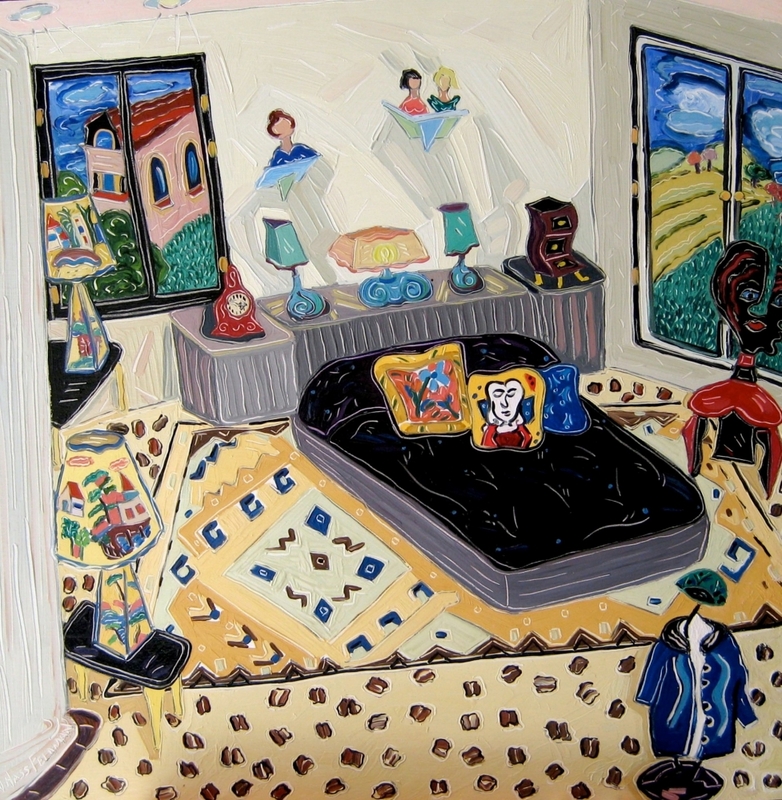 The Framed French PaintingOil on Panel 11" x 16"
Table in SorrentoOil on Panel 30" x 30"
Four Birds at the Villa Santa MonicaOil on Panel 16" x 16"
Solomon the Ram Surveys the BedroomOil on Panel 20" x 20" One of my favorite rooms. 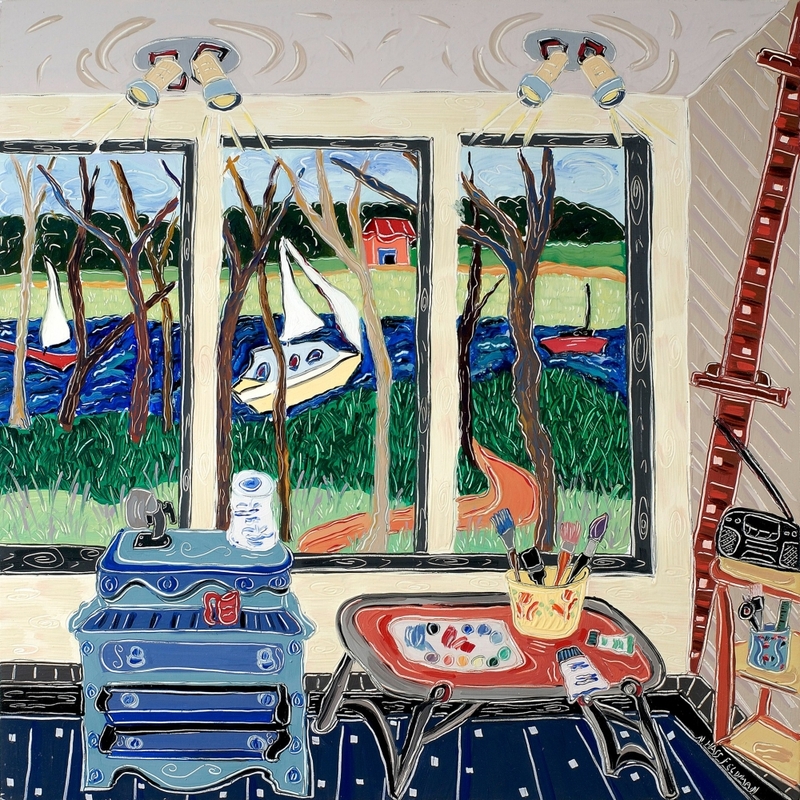 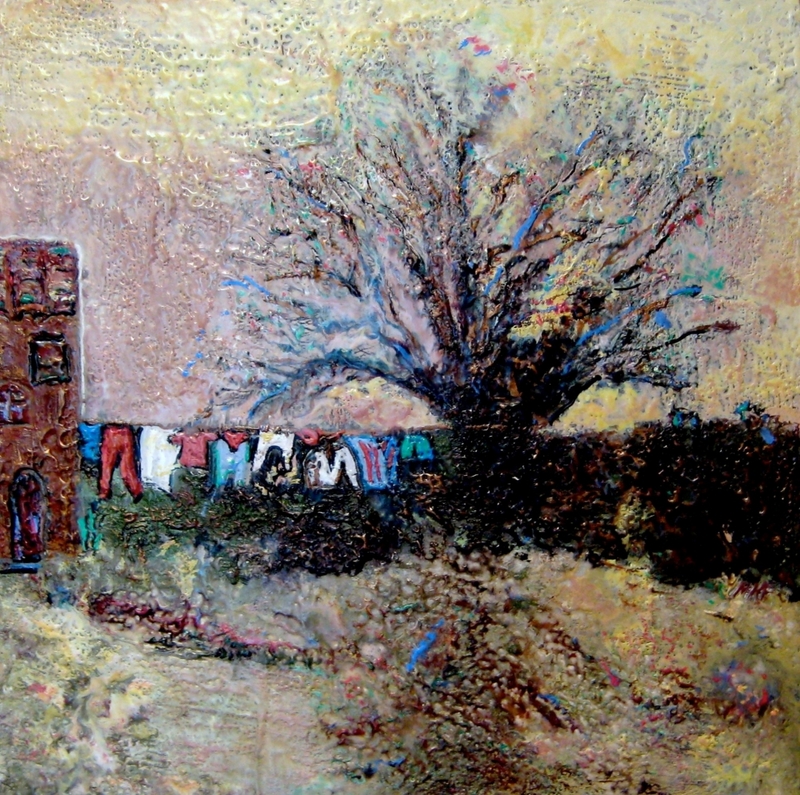 View to the Marsh Thru StudioOil on Panel 18" x 18" Exaggerated view from my studio. 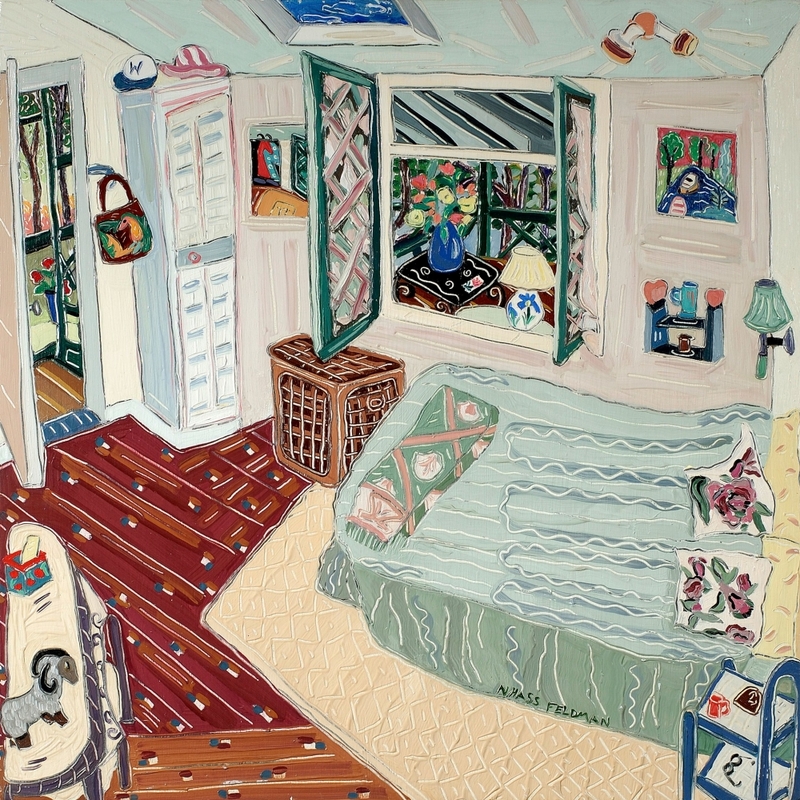 Small Bedroom on Belknap RoadOil on Panel 20" x 20" My own back bedroom.